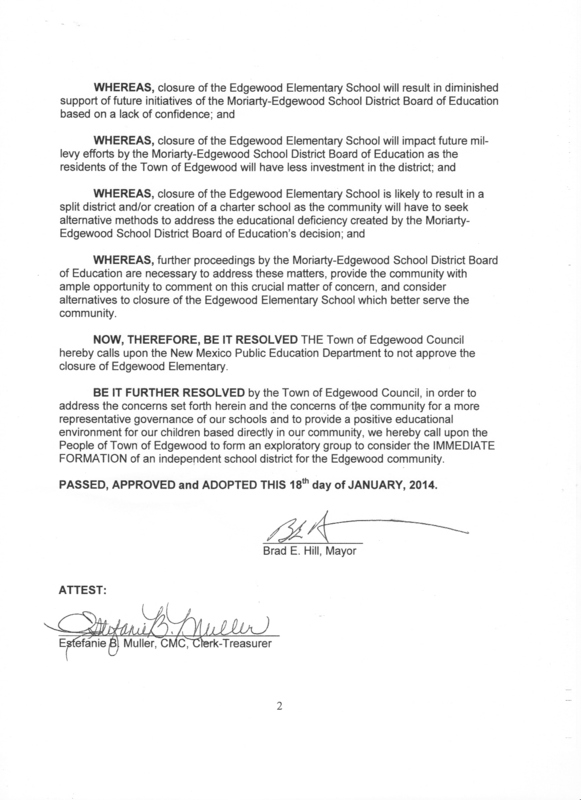 This evening the Town Council of Edgewood, New Mexico passed Resolution 2014-01 calling on the Edgewood community to organize and plan for a new school district. If successful the Edgewood Independent School District(?) 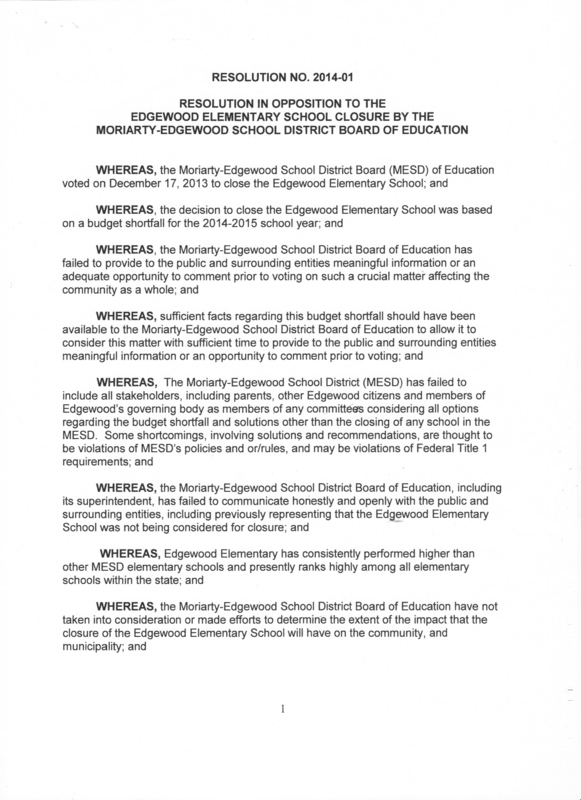 would result from the Moriarty-Edgewood School District (MESD) being diminished in geographical and demographic terms. The meeting was presided over by Mayor Brad Hill and town council members Sherry Abraham, John Abrams, Chuck Ring and Rita-Loy Simmons voted unanimously for passage of the resolution. The action by the council follows a previous and current attempt to close the only elementary school within the corporate limits of the Town of Edgewood. Citizens without school children, parents of school children and some district educators have urged town action in order not to have to face continuing efforts to shortchange the Edgewood community children, parents and school employees. The two-page resolution will be filed with the New Mexico Public Education Department at the earliest possible time. A signed copy of the resolution can be found below.